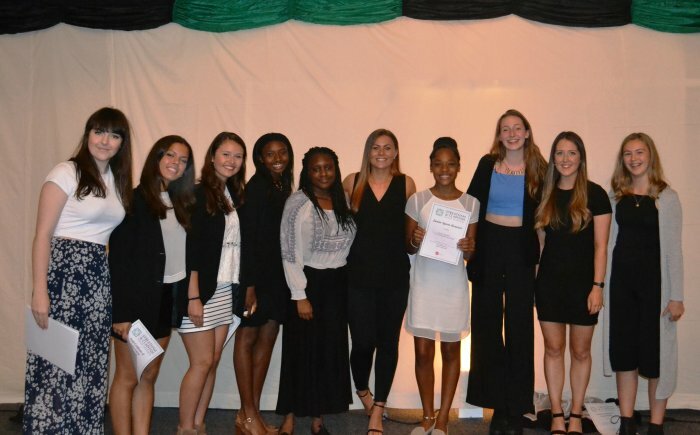 Streatham & Clapham High School welcomed sportswoman Mikaela Austin to its Sports Honour Dinner. Mikaela spoke about how, when at the very top of her game as a Surrey Storm Netball Champion, she suffered injury that threatened her career. She inspired the girls with her passion for her sport and her grit and determination to overcome injury and return to playing at the highest level. 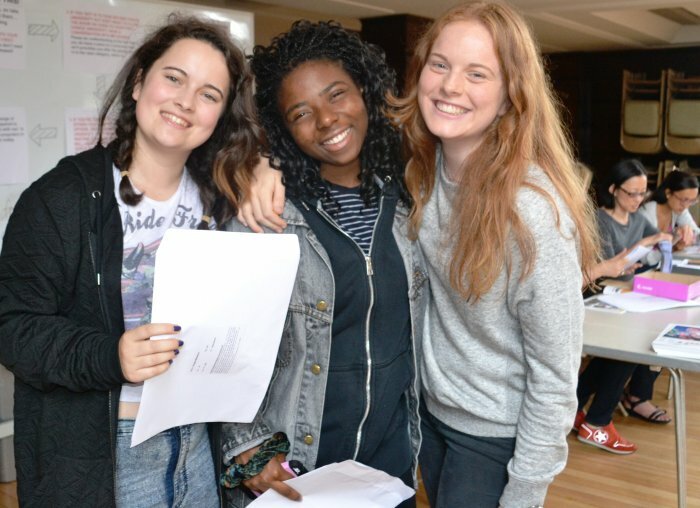 Streatham & Clapham High School students have achieved excellent A Level results, with the pass rate being sustained at 100% for the fourth consecutive year, and students achieving results way beyond national average. 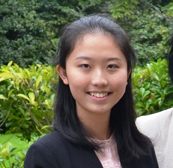 Among the top performers are Nicola Peach (A*A*A), who will proceed to Bristol University to read English, Ruth Savile (A*A*A), who has been admitted to Exeter University to read Drama, Alice Wills (A*A*A), who will study French and History at Leeds University and Mya Young-Ash (AAA) who will study medicine at Birmingham University. Some students have chosen to take a gap year before taking up their places. Ruth Savile will be working with charity YWAM in Hawaii, supporting communities in need. Nearly a quarter of the cohort achieved an A* or an A grade in every A Level subject that they took. The results constitute an increase in the number of A*-B and A grades awarded to SCHS students by comparison with last year. 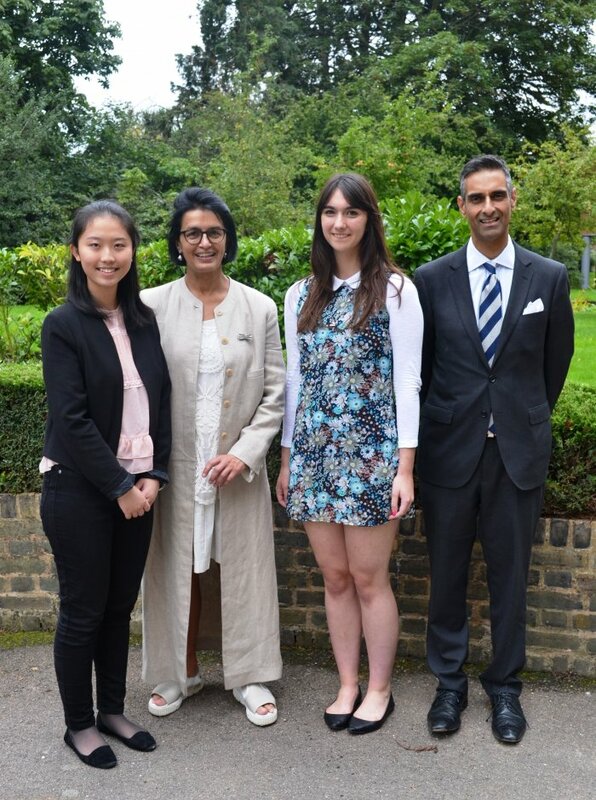 Streatham & Clapham High School students achieved superb A Level results this summer, gaining the highest number of A* grades in the school’s history. The percentage of A Levels awarded the top grade of A* was 20% (up 6 percentage points on the previous year). The percentage of grades awarded A*/A was 48% (up 10 percentage points on the previous year – a great advance compared with the national picture, in which there was hardly any increase), whilst the proportion of grades awarded at A*-B was 81% (an advance of 12 percentage points on the previous year). It is pleasing to note that these results place SCHS within the top 50 independent schools in the UK, according to The Times league table of 19 August, and The Daily Telegraph highlighted SCHS in an article on 26 August for its strong showing in the league tables. 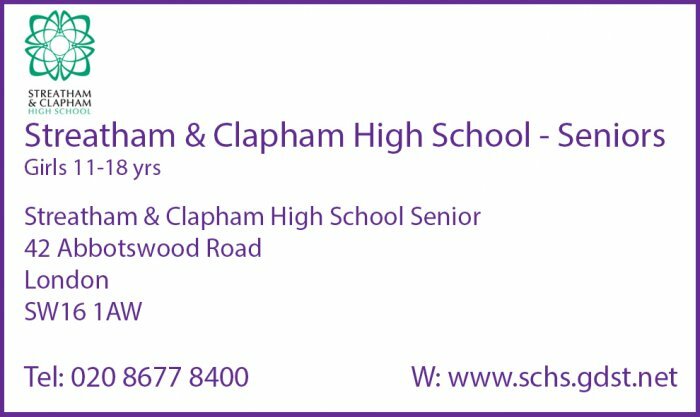 March has been a month of successes for gymnasts at Streatham & Clapham High School (SCHS), including triumphs at national level. 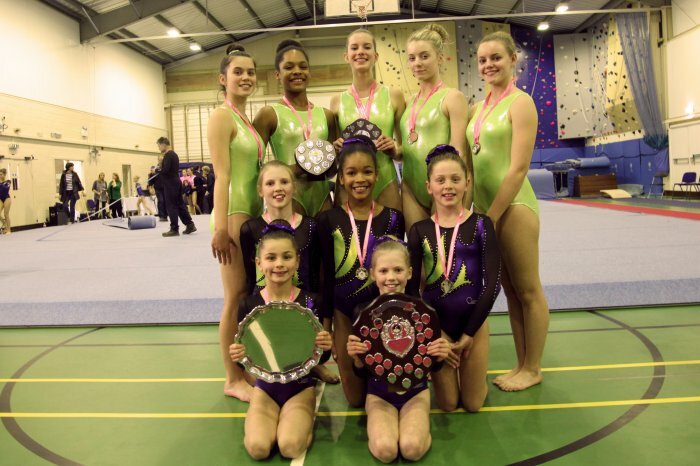 On 1 March, SCHS's Under11 team took first place in the group routine event at the Girls Independent Schools Gymnastics Association finals at Kent College. SCHS's Over14 team was placed second in the group routine and 4th as overall team. Among the 500 competitors, 8 year-old Emily Prest, a severe asthmatic, was awarded the 'Against all odds' plate, given in recognition of the individual who had struggled/battled to compete in gymnastics. On 9 March, SCHS gymnasts competed in the Under9 Surrey Schools at St Catherine's School in Guildford with the team placed first and Emily Prest winning the overall individual first place. A day later the gymnasts were in action at The Girls' Day School Trust rally at Bromley High School with the Under11 and Under14 teams both taking second place, and Annabelle Prest, aged 10, gaining first overall individual place and Agnes Jones, aged 12, gaining individual vault first place. At national level, SCHS gymnasts competed in the British Schools Milano Team Trio finals which took place on 13 & 14 March in Stoke on Trent. The Under11 and Under16 teams were both placed first for the London region. The Under16 team gained 2nd place nationally and the Under11 team gained 4th place nationally. Last week the gymnasts consolidated their position at the forefront of gymnastics at the Surrey Schools Sport Acro competition on 17 March. The Under11A team, the Under11B team and the Under19A team were all placed first, with the Under19B team placed second. The gymnasts are now looking forward to the London Schools Sports Acro and Tumbling competition on 25 March. Streatham & Clapham High School GDST (SCHS) lower-sixth music student Holly Jackson has been offered a full place in the National Youth Orchestra (NYO), one of only sixteen cellists selected from throughout the UK. To be chosen for the finest youth orchestra in the country is an outstanding achievement. The NYO Tutors were impressed by Holly’s playing and ensemble skills during her auditions. As an NYO Musician, Holly will become part of a tradition which has included many of Britain’s greatest instrumentalists, conductors and composers. Holly has already achieved her Grade 8 with Distinction on both recorder and cello. She recently demonstrated her collection of recorders to SCHS Prep pupils, performing and demonstrating a variety of instruments from the tiny sopranino to the large bass recorder. Holly presented a range of repertoire from Baroque to Abba. The pupils were particularly impressed by Holly's 'party trick' when she managed to play two recorders at the same time! The music department at SCHS is preparing for their production of Noye’s Fludde, an opera by the English composer, Benjamin Britten. As part of the preparations for this production SCHS welcomed Dr Lucy Walker, Director of Learning at the Britten-Pears Foundation, to give a talk and presentation about the opera. Dr Walker gave a fascinating insight into the life and working methods of one of England’s greatest composers and it was inspiring to watch video clips of the various performances of the opera which have been staged around the world in recent years. The remarkable Wasfi Kani OBE was guest speaker at Streatham & Clapham High School's Speech Day. 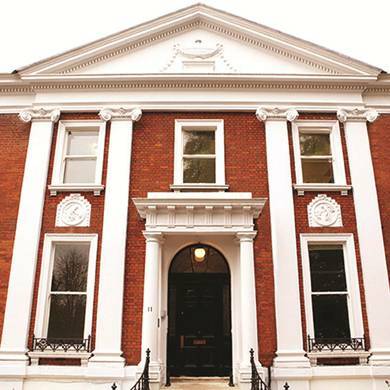 Wasfi began life with her family of seven living in one room in the East End. She went on to study at Oxford, worked for a decade in the City and then, following her passion for music, trained as a conductor. She founded the Pimlico Opera and began to collaborate with prisoners in the 1990’s, staging musicals, such as Sweeney Todd. Her 1992 production of Guys and Dolls with long-term prisoners at Wormwood Scrubs was the subject of a BBC documentary nominated for a BAFTA Award. She is co-founder of Grange Park Opera and was awarded an OBE for her work in prisons. Wasfi entertained and inspired as she talked of why opera is relevant today and how the arts touch and informs our humanity. She emphasised importance of hard work and described how she had worked hard to combat assumptions and prejudices – including those against women.